With the start of a brand new year, we’ve decided to take a look inside some of our favourite books of the year that’s just passed. First up? Bothwell School of Witchcraft, our most magical book of 2017. Bothwell School of Witchcraft hosts weekends at Herstmonceux Castle in East Sussex in the U.K, and describes itself as a live action magical experience, where you can live out your dream of becoming a real life student of magic. The event runs much like a murder mystery – you’re given a character to play and create your own destiny, interacting with others and developing the story around your character. The story, characters, props and scenery bring the school to life; making the experience unforgettable. We asked Main Editor, Stacey, how she coordinated such a unique yearbook, and put together the whole project in just a couple of months. Hi Stacey! Where did you look to find inspiration for your book? 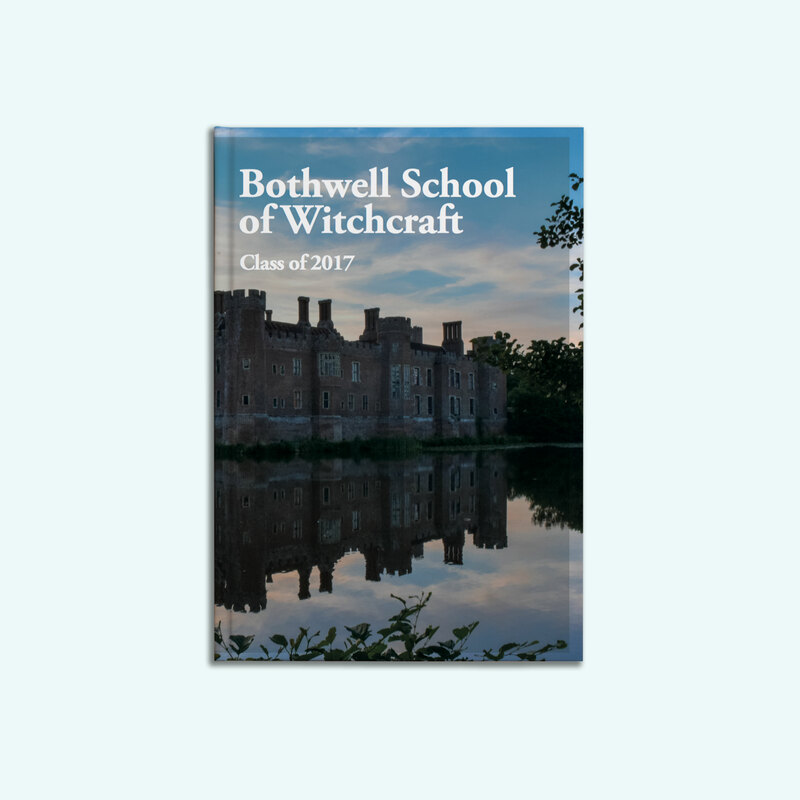 A lot of inspiration for the book came from the Bothwell School of Witchcraft itself. 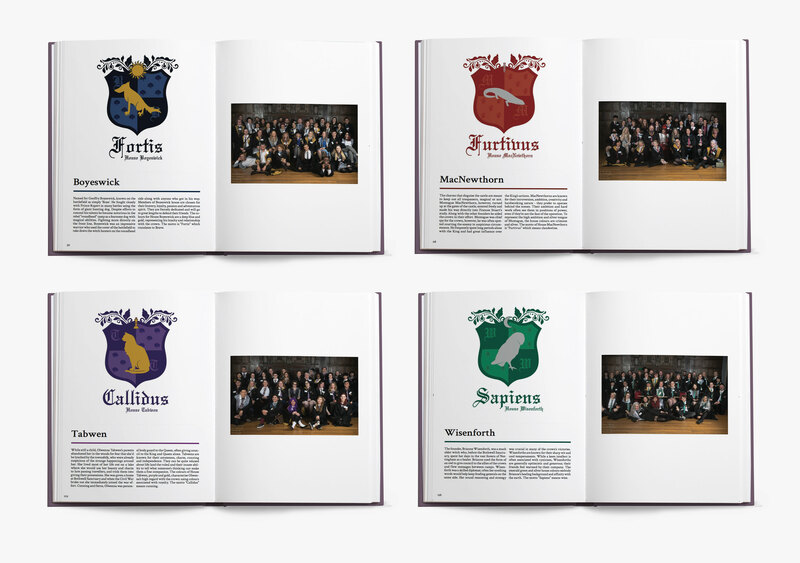 The school is split into four houses, each with its own style, which was easily adapted into our yearbook sections. The introduction to each house was written by the creators of the event, and including them in the book really helps to give readers a feel for the event, (and inspires house pride in the players!) We are also very fortunate to have an active community willing to provide creative content, such as the letter from the Headmistress and the Clubs and Societies pages, and some beautiful photos from the event too. Can you pick a favourite page (or pages) in your book? I think my favourite pages might be the polls – there are so many memories and inside jokes contained within those pages. What advice would you give to someone just beginning their yearbook? Make sure to give yourself plenty of time to gather the information and to get the editing/checking done. It takes longer than you might think! What was your favourite feature of the site? Definitely the polls! They were a lot of fun. Also being able to leave comments and messages for friends who we don’t see very often. What made you decide to create a printed yearbook, instead of relying on social media to collect your memories? 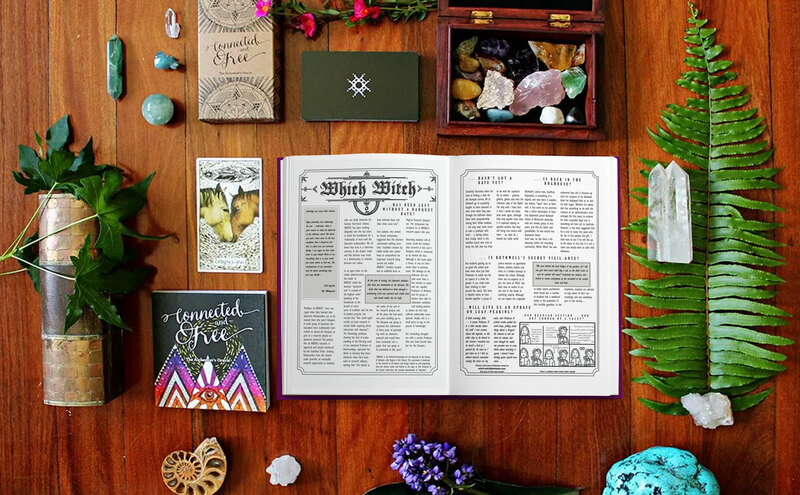 The Bothwell School of Witchcraft Community has members from all around the world, so we rely heavily on social media to keep in touch and interact with one another. Social media is great for instantaneous interactions, but we wanted something different and a little bit special to collect our memories of the first event. It’s so easy for posts and messages to get buried on social media – with the yearbook it’s all in one place. We’ve also had a great deal of fun writing messages in each other’s books whenever we get the chance to meet face to face! Yearbook Machine had some excellent reviews, both in terms of the online system to create the book, and in terms of the finished product. The layouts are stylish and the system simple to use – the fact that it’s browser based was invaluable for our global community. As a marketing professional, I have the experience, skills and software to create a yearbook from scratch, but using yearbook.com gave each person autonomy over their own page, and turned our yearbook into a group project. Thanks Stacey! Love the sound of Bothwell? Find out more here.